My student teaching position is now over. I am really sad and already missing my students, but I am looking forward to getting back to work and earning some money. Things were getting really tight since I was unable to work for the last 3-4 months, but I'll find something soon. I scooped out these mostly whole chips for this photo. This does not do the amount of chip shrapnel justice. 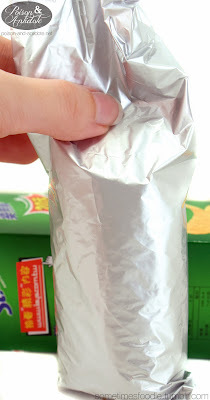 Opening the silver bag that was inside the box was really easy, and the product smelled very similarly to Pringles version of sour cream and onion. These are sweet, slight onion-y, and there is a strong potato-flake aroma. 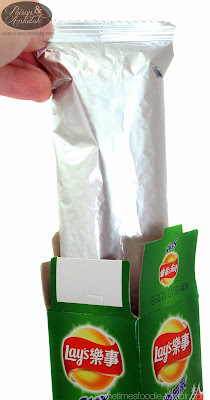 As I said before, the tall plastic bag inside was half filled with chips, and there was plenty of broken chip shrapnel to sift through before I found a decent chip to photograph. 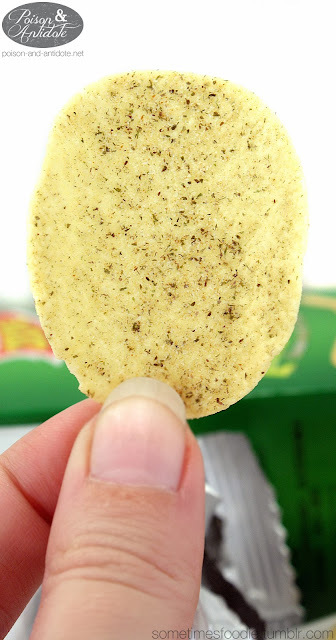 The seasoning seems really well distributed, and there are little bits of, what I assume to be, nori (seaweed) and seasonings. I popped a few bits of potato chip into my mouth. 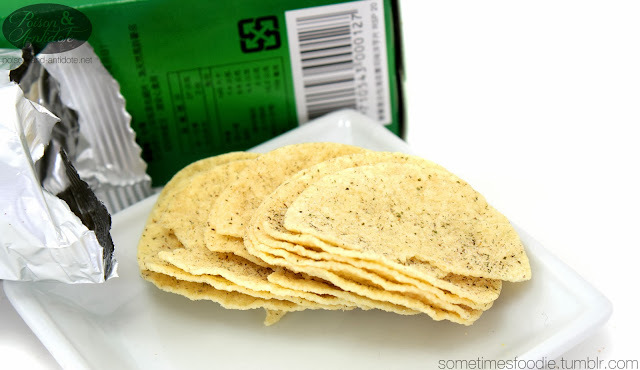 At first I felt like these were about the same as American sour cream and onion chips but, if you lay the chip on your tongue seasoned side down, there is a strong seaweed and rice vinegar flavor. It's delicious! 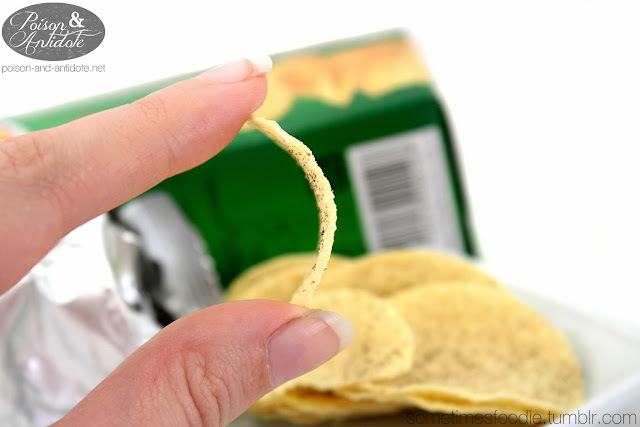 Eventually it fades into a sweet cream-like flavoring, which could be from the sugar and mystery "flavoring agents" in the ingredient list, but the aftertaste is definitely on par with Pringles sour cream and onion chips. Reflecting on the flavor, these reminds me of Americanized sushi that use cream cheese in their rolls, but it still has an obviously sushi-like flavoring. 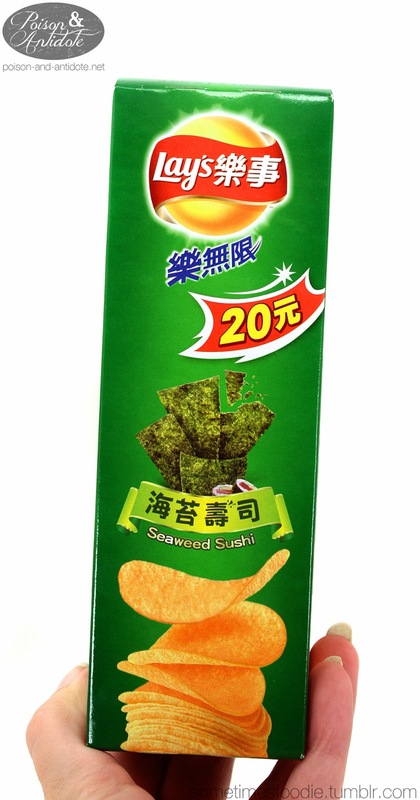 If you like sushi, Lay's Seaweed Sushi chips are delicious, but the packaging is absolutely awful. Awesome flavor, terrible packaging. (Which is basically the complete opposite as my review for the Potato Wish chips.) These two companies need to work together, they'd create the perfect potato chip product!